© & TM Lucasfi lm Ltd.
Steinbach’s newest addition to the Licensed Star Wars designs in the Famous Legends Series is the Stormtrooper. 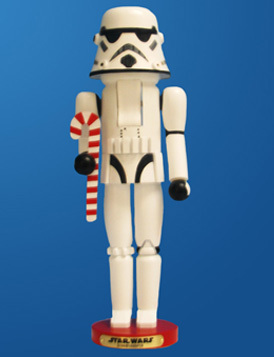 This piece features the signature white and black Stormtrooper armor with a festive twist. A red and white candy cane in his hand makes this soldier ready for the holidays! 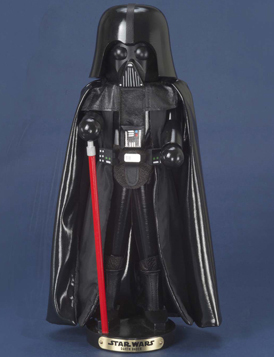 The 18.5-Inch Steinbach Darth Vader Nutcracker piece features Star Wars’™ most famous villain in his signature black armor and cape. He is holding his red light saber as well. 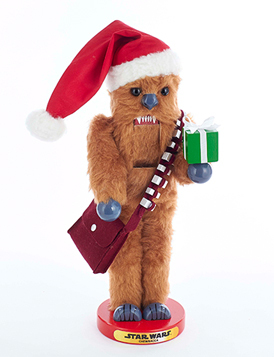 This item is sure to be a standout piece in any nutcracker or Star Wars™ collection. 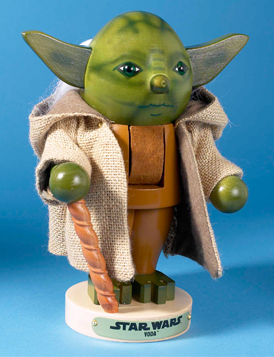 This 10.5-Inch Steinbach Yoda Nutcracker piece features the famous Jedi master with his signature robes and wise, green face. Sure to be a hit within any nutcracker or Star Wars™ collection, the Yoda nutcracker is crafted in Germany with the finest care and attention to detail.